Consider heading to Walmart where they have 9 oz. 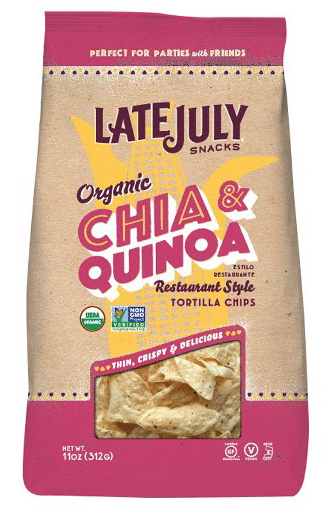 bags of Late July tortilla chips or 5 oz. 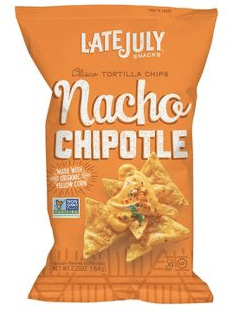 bags of Late July Nacho Chipotle (yum!) 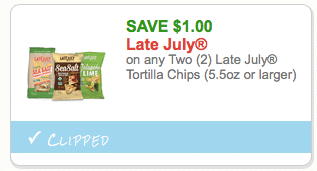 tortilla chips for $2.48, so just $1.98 a bag after coupon!